Before a will is honoured certain legal practices must be fulfilled. This has the benefit of ensuring that an impartial element is present to check that the right person has control over delivering the deceased’s last wishes. First, a ‘Grant of Probate’ (in Scotland, a ‘Grant of Confirmation’) must be issued, ensuring that the right person is entrusted to deal with the deceased affairs. The Grant of Probate is the basic minimum requirement necessary before any action is taken on a will and must be obtained quickly if you wish to avoid the will being contested (for details of contesting a will see related article). The Grant of Probate is a given to a person called the ‘Executor’ of the will and it enables them to access documents and funds from the deceased in order to enact the conditions of the will. Grant of Probate will not be granted until the first installment of Inheritance Tax has been paid. 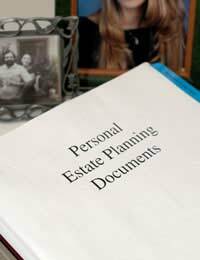 In many cases where there is a will the executor is named in the will. There may be more than one executor named in the will, in which case they will work closely together to ensure that money and assets are divided appropriately according to the will. The person(s) named in the will must approach the probate registry to have their status confirmed through ‘Grant of Probate’. If a will has not been made an application must be made to the probate registry by a close relative or friend of the deceased for a ‘Grant of Letters of Administration’, which entitles them broadly to the same rights as a Grant of Probate. In this case the person in charge of the seeing that the will is honoured is called an ‘Administrator’ and not an Executor. Both Executors and Administrators may be termed as ‘Personal Representatives’. Both ‘Grant of Probate’ and ‘Grant of Letters of Administration’ may be termed as ‘Grant of Administration’. A Grant of Representation in some form will always be needed unless the person has financial assets worth less than £5,000, no property and no stocks or shares and does not have an insurance policy (although in this latter case it depends on the nature of the insurance policy). In Scotland the Grant of Probate is called a Grant of Confirmation and in order to obtain the Grant of Confirmation (providing you are named on the will) you must complete an Inventory of the deceased’s Estate. As with the Grant of Representation outlined above, the Grant of Confirmation attests to the validity of the will and the right of the Representative to implement the will, and in so doing to access bank accounts and personal information relevant to the Estate of the deceased. Help with issues pertaining to the Grant of Confirmation can be obtained from the local Sheriff Clerk’s office (that local to the deceased). In instances when the total Estate is worth less than £30’000 the Sheriff will help you to prepare the inventory. Help with issues pertaining to the Grant of Confirmation can be obtained from the local Sheriff Clerk’s office (that local to the deceased). In instances when the total Estate is worth less than £30,000 the Sheriff will help you to prepare the inventory.